To study and have a successful learning experience, you need to find the right time to do it in. 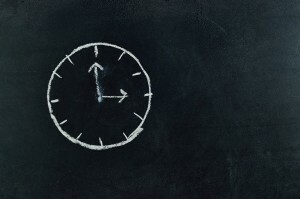 To figure out when the best time to study is, continue reading the post below. For starters, you need to understand the power that habits can have over you. To take advantage of this, you should have a study routine that you follow to a T. This way, when the time to studying comes around (whether it's during the day or night), your body and mind will know that they need to focus on learning. Your body, your mind, your energy levels, your ability to focus, and more, will be some of the factors that will determine what the outcome of your study sessions will be. This means that you shouldn't be overly tired, hungry, or too energetic, as you could be distracted by this. Last but not least, you should take the conditions around you into account and learn what you prefer in order to study successfully. For instance, if you're more effective when you're working with other people, then you should make a study group that will help you learn better. If you want to do great in school and reach your academic goals, enroll in tutoring in The Woodlands TX. Call The Tutoring Center, The Woodlands TX at (281) 602-3839 to learn more about their academic programs, or to schedule a free diagnostic assessment.